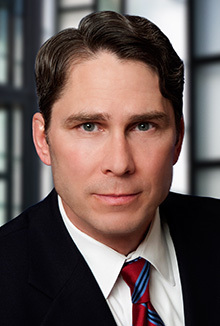 Scott Bentivenga is a partner in the Chicago office of Lewis Brisbois and a member of the Professional Liability Practice. Mr. Bentivenga is a trial lawyer with twenty eight years of trial experience representing doctors, hospitals, dentists, transportation/delivery companies, construction companies, product manufacturers, and property owners in personal injury and property damage cases. Throughout his career, Mr. Bentivenga has tried more than 30 cases to verdict. He handles the following types of matters: medical malpractice, dental malpractice, transportation/trucking/auto, construction accident, premises liability, products liability, fire damage and injury, security guard liability. Mr. Bentivenga successfully defended a hospital and five of its employees in a medical malpractice/wrongful death case involving an 84-year old plaintiff who was admitted to the hospital with a bowel obstruction and a host of other medical problems. A respiratory therapist, who was treating plaintiff with a medicated nebulizer treatment, reportedly left plaintiff in an unmonitored room for 10 minutes during which he suffered a heart attack. Although a Code Blue team revived plaintiff, he developed an anoxic brain injury and died three months later. For further details on this case, please click here. At trial, plaintiff argued that plaintiff should have been placed in an ICU, that the respiratory therapist was negligent in leaving the room, that the nebulizer treatment caused the heart attack, and that if the therapist had closely monitored plaintiff, he would have been revived sooner, thereby preventing his anoxic brain injury and death. We argued that the nebulizer treatment did not cause the heart attack, and that the outcome would have been the same if plaintiff had been in the ICU with a respiratory therapist present, based on statistics for elderly patients with chronic medical problems. The trial lasted 3.5 weeks. Plaintiff asked the jury for $2.8 million. The hospital offered $350,000, but pulled the offer minutes before the verdict. The jury deliberated for 4.5 hours, and rendered a not guilty verdict in favor of all defendants. Mr. Bentivenga gave a presentation titled "Deposing the Plaintiff's Medical Expert" to both the Chicago Bar Association and the Illinois State Bar Association in March of 2014. AV Peer Review Rating, Martindale-Hubbell’s highest rating in legal ability and ethical standards. Illinois Super Lawyer, Chicago Magazine, 2005, 2006, 2009-2011.